I know I use butternut squash in many of my recipes, but I love it. In the fall, this is an easy dish to dress up a simple roast chicken or pork loin. 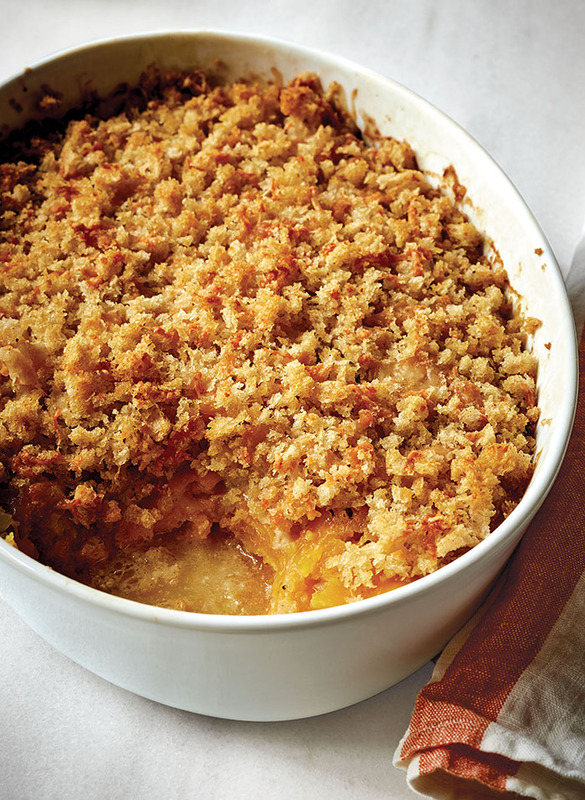 I cook the squash with garlic and a little nutmeg, then put it in a gratin dish with a topping of crunchy bread crumbs and Gruyère cheese. This is serious comfort food on a cold winter night. Preheat the oven to 350 degrees. Use 1 tablespoon of the butter to grease an 8-½ × 11-½-inch oval baking dish. 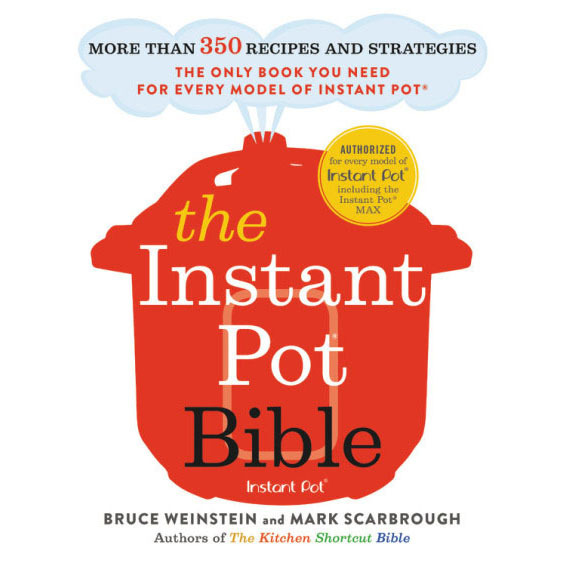 In a large (12-inch) pot or Dutch oven, such as Le Creuset, heat the remaining 2 tablespoons of butter and 1 tablespoon olive oil over medium heat. Add the onions and garlic and cook, stirring occasionally, for 6 to 8 minutes, until tender. Stir in the squash, nutmeg, 2 teaspoons salt, and ¾ teaspoon pepper, cover, and cook for 10 minutes, stirring occasionally. Spoon the squash mixture into the prepared baking dish and smooth the top, making sure all of the squash slices are laid flat. Pour the cream over the mixture. In a medium bowl, combine the bread crumbs and 2 tablespoons olive oil and mix in the Gruyère. Sprinkle evenly over the squash. Bake for 35 to 40 minutes, until the top is browned and the squash is very tender when tested in the center with a small knife. Sprinkle with salt and serve hot. If need to make gluten free, what do u recommend? Buy a loaf of gluten-free bread to make the breadcrumbs or buy a package of already-made gluten-free breadcrumbs. Either should be in a well-stocked supermarket, but there’s always Nature’s Grocer, if you need a good gluten-free specialty shop in CT. Yes! Ina said so during the show, so go for it! If you make this ahead, would you suggest to leave the breadcrumbs off, and add when you are ready to bake? That’s what I’d do. Keeps the top extra crispy that way. Will another cheese besides gruyere work? 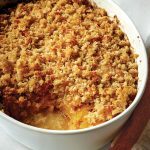 You could always experiment, but gruyere turns up as the cheese of choice in a lot of Ina’s vegetable gratin recipes, especially her squash recipes. 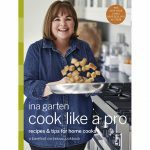 I’ve made a similar gratin, one by Martha, and she calls for parmesan, but the squash was a yellow squash as opposed to Ina’s butternut, so not sure if the squash/cheese flavors would marry as well if you’re using butternut, or if because parmesan isn’t as good of a melter, the recipe would come up short. Sometimes when I’m unsure about a substitution, I make a trial run in a ramekin. That way, if it’s terrible, I haven’t wasted an entire baking dish’s-worth of ingredients. This was extremely delicious, although I did up the herbs considerably from the original recipe. I warmed the cream and added sage leaves to steep for awhile, added fresh thyme to the onions while they were cooking, and put some rosemary in with the bread ( I used sourdough) while I was blitzing it in the food processor to turn it into crumbs. I used more gruyere, too, basically making two layers of the squash-onion mixture and sprinkling a light layer of cheese on each. Even the people I thought would turn their nose up at butternut squash asked to take some home.